EVGA Z77 FTW: This motherboard delivers the ultimate enthusiast Intel Z77 Chipset based motherboard with 4-Way SLI support, dual 8pin CPU power connectors, 300% increase in gold content in CPU socket, and a right angled 24pin power connector. Designed from the ground up for overclocking, the EVGA Z77 FTW offers the flexibility and support that enthusiasts demand. 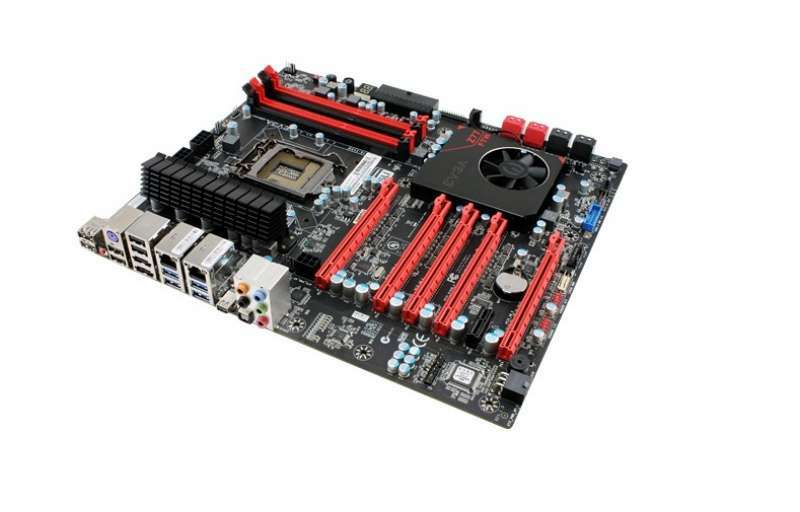 In fact, the EVGA Z77 FTW has won over 8 awards from leading editorial sites! EVGA Z77 Stinger: Enthusiast performance in Mini-ITX format. The EVGA Z77 Stinger board is designed with an excellent board layout to accommodate large cards, has robust overclocking features, native SATA 6G/USB 3.0 and more! EVGA Z75 SLI: Awesome performance at an awesome price. The EVGA Z75 SLI features native USB 3.0, SATA 6G and 2-Way SLI + PhysX. Of course, an impressive overclocking feature set allowing you to maximize your CPU’s performance, making this a great “bang for your buck” buy. • Engineered for Overclocking – Robust overclocking features and software. Designed by and for the extreme enthusiast! • Onboard Features – Onboard Power, Reset, Clear CMOS and a Debug LED that shows CPU temperature and diagnostics! • Native USB 3.0/SATA 6G Support – Native on select USB 3.0 and SATA 6G ports, no 3rd party IC needed. Improved performance and compatibility. * Available on the EVGA Z77 FTW motherboard. Learn more about the EVGA Z77 and EVGA Z75 Motherboards here.